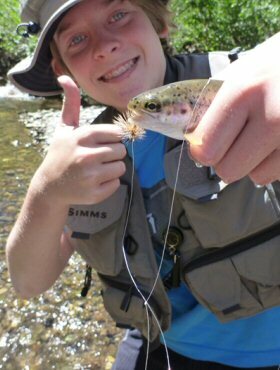 The DVFF’s Youth Fly Fishing Program helps engender a sense of respect for our waters and the fish that live in it by engaging children, teenagers and young adults in hands-on workshops and fly fishing outings. From local classroom-based workshops and fly tying and rod building classes to fly fishing outings and assisting Boy Scouts complete their Fly Fishing Merit Badge requirements, the DVFF Youth Fly Fishing Program encourages young people to adopt our commitment the art, science and sport of fly fishing, and to become stewards of our fisheries. Throughout the year program participants have opportunities to attend day and weekend outings to fish streams and stillwater fisheries; join in training, skills development and social activities; share in activities with youth involved with other fly fishing clubs; and aid local and regional watershed conservation organizations in their efforts. 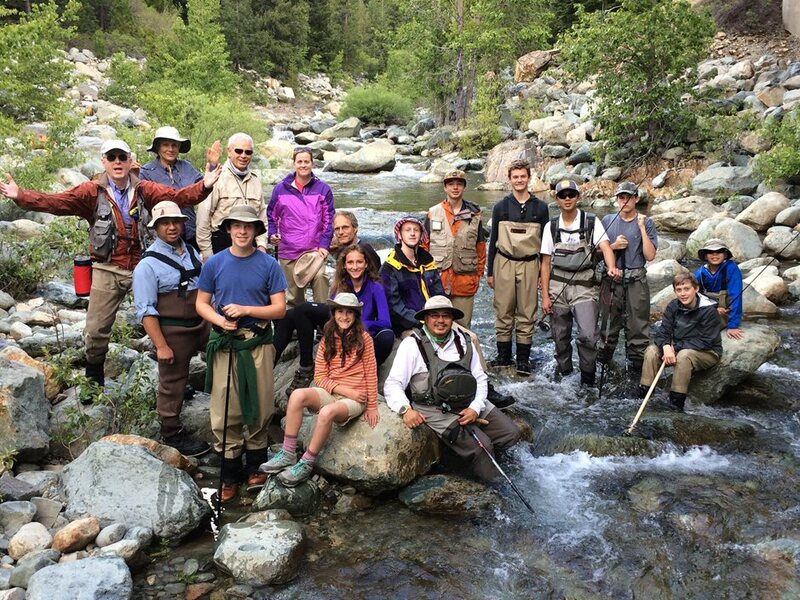 One of our outings takes place on the North Fork Yuba River, an exceptional natural laboratory for young fly fishers to learn and hone their fly fishing skills. The river and its tributaries offer pocket water filled with hungry trout and DVFF mentors are on hand to guide, instruct, and ensure participant safety. Summarizing our 2015 outing, program participant Kyle Wong said, “The outing was a blast. We fished all day and told campfire stories at night. Many of us had little to no experience fly fishing before the trip, yet we managed to catch our fair share of rainbows on dry flies. 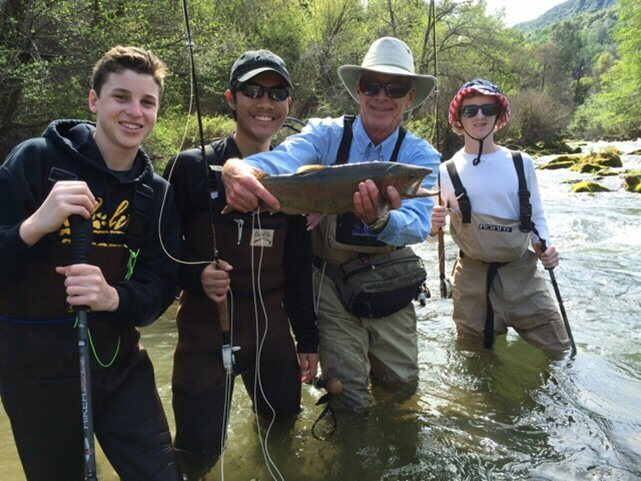 All of us are hooked on fly fishing, eager to go on more outings in the future.” This outing is open to youth ages 9-17 under the supervision of a parent/guardian or designated responsible adult. Skills Development - Fly Casting, Fly Tying, Knots and Rigging, Fly Fishing Techniques, Aquatic Entomology, and more. Equipment Assistance: The DVFF will supply all equipment required for outings and training for those participants who don’t have their own gear. Reading the Water – Knowing where to find fish. Selecting the Fly – Understanding what fish are eating. Stalking the Fish – Learning the sneaky approach. Casting for Success – Presenting the fly to fool the fish. Catch & Release – Sensing the take, setting the hook, playing and releasing the fish. Tackle / Essential Gear – Flies, lines and leaders, rods and reels, wading gear and streamside essentials. Knots and Rigging – Basic knots, leader design and rod rigging. Fly Casting Workshop – Principles and techniques, useful casts and line control. 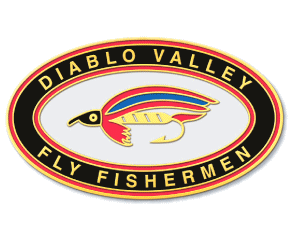 Fly Tying Classes – Basic and intermediate fly tying skills.